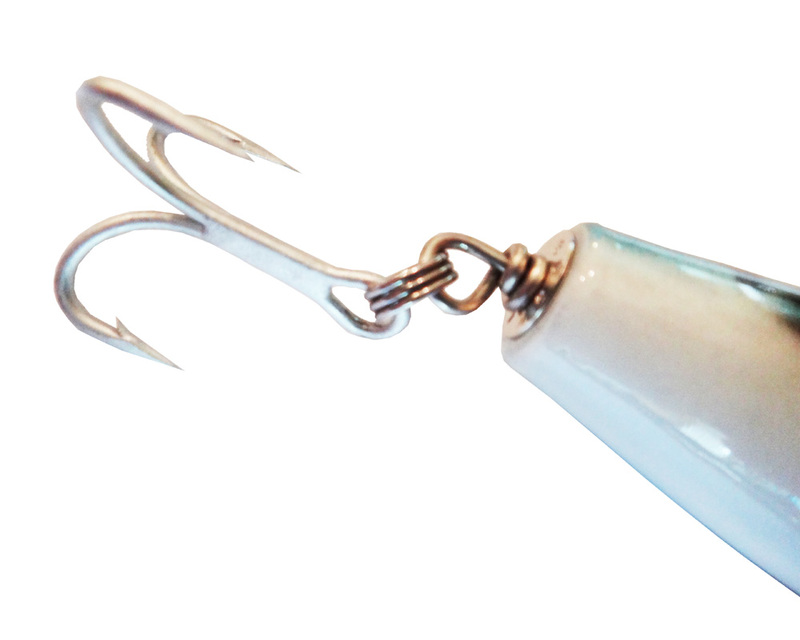 When you're hunting for big fish in saltwater there is only one way that a plug can be constructed that will ensure that the connection from your line to the hooks is going to be unbreakable. Thru-wired plugs feature a 1/16" diameter stainless wire running from your knot or snap to the hooks that are stuck in your trophy fish. 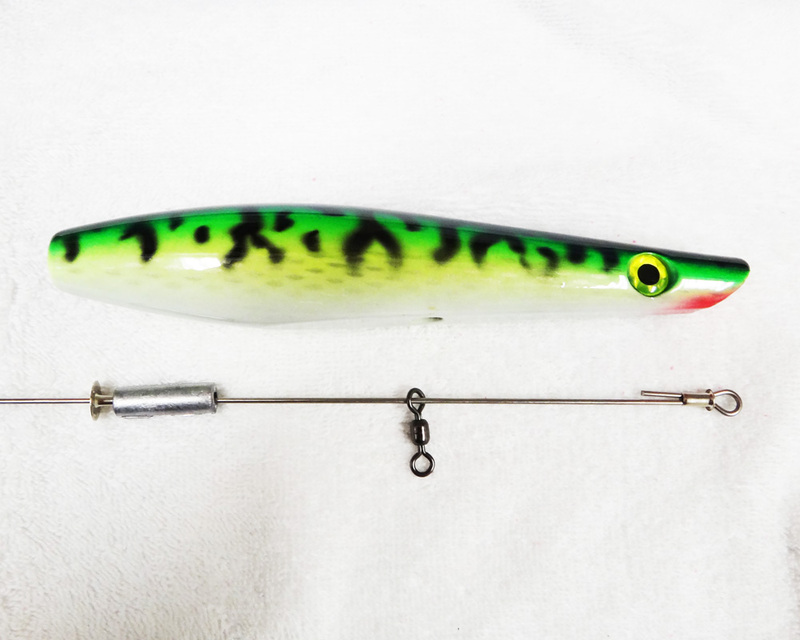 This leaves out the old-school method of using screw eyes which would regularly twist and tear free from the wooden body of the plugs of yesteryear--especially when challenged by the power of a big fish, the type of fish we all want to be stuck to. The basics of thru-wire construction are that a hole is drilled through the body of the plug from the nose to the tail and a second hole is drilled in from the belly just past center and intercepting the other hole. A loop is bent in the end of a piece of 1/16" stainless steel wire which is then inserted through a small grommet and then into the nose of the plug. At the same time a heavy duty swivel is dropped into the belly hole and the wire is fished through the loop of the swivel and then out the tail end of the plug. After that a loop is twisted into the end of the wire, hooks are attached and you're ready to fish. 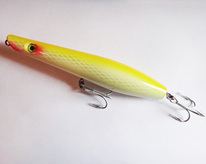 Guppy Lures utilize the finest components used in wooden plug making. 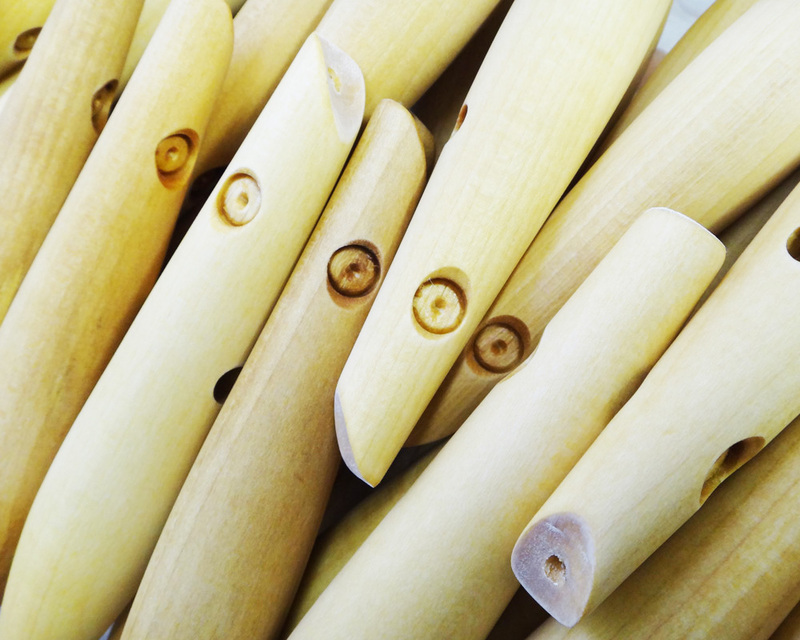 KROK barrel swivels are used as the forward hook attachment. 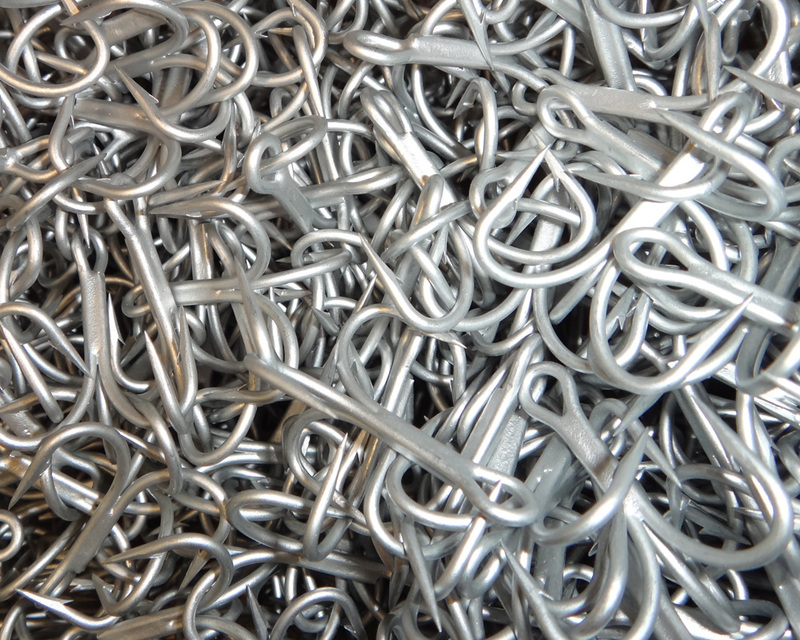 These swivels test out between 220 and 500 pounds (depending on plug style) and are made from stainless steel, they don't rust or "oval out" even after a full season of rigorous abuse, or more! VMC Hooks are attached using Wolverine split rings. 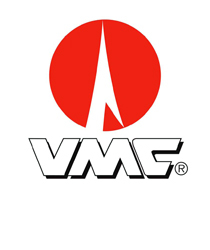 VMC trebles have established themselves as the standard among builders and anglers--they're known for their toughness and their long term rust resistance. Wolverine splits are famous for their toughness, utilizing three coils, these split rings are made to withstand a lot of punishment. 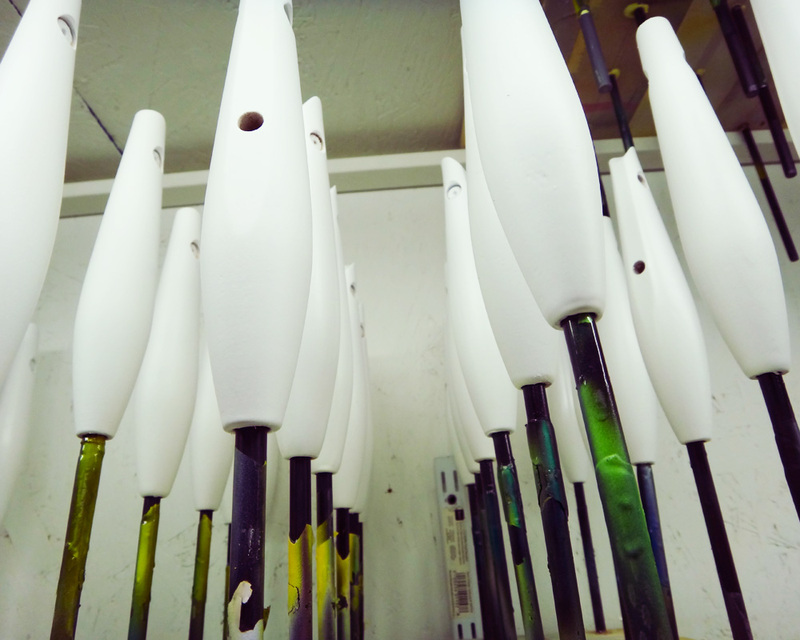 Guppy plugs have been rigorously tested for action, balance and casting distance. The plugs are painted in a variety of colors and using a proprietary coatings system that utilizes a sealer designed to eliminate water intrusion, a primer made to add toughness, paints that hold their color and a protective clear coating that gives a vibrant finish and protects the plugs well against chipping and gouging. 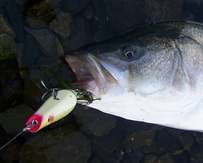 Overall the plugs are made to catch fish and they wear well for extended periods of rigorous use.